Buying a sofa should be looked at as a considerable investment, and you should be able to enjoy what you buy. No one needs the frustration and shopper’s regret that comes from a hasty and ill-thought out purchase – especially when it comes to a piece of furniture that should form part of your room for years to come. A rule of thumb is that it’s not only about the aesthetics. The best-looking sofa in the whole world cannot measure up to the most comfortable one. A sofa helps set the tone of a room, so use of space should be taken into consideration. You should also choose a style that complements your taste. 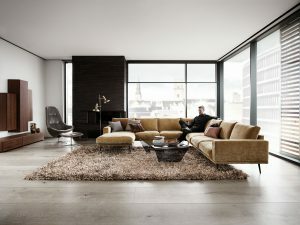 Remember it will have a place in your home for years to come, so whether you like the low-profile look of mid-century styles or the inviting appeal of a sprawling sectional, it’s your space and your purchase. Apart from its aesthetic appeal, another essential factor is that it actually feels great. Test many different styles and try them out in a way you would use a sofa at home. Sink-in feel or a more supportive sit? The answer to this question will allow you to understand the kind of sofa comfort or cushion you want. Then you need to think about seat height and depth: shallow seats offer an upright feel and keep shorter legs from dangling, while deep seats let you lean back at an angle and tuck your legs onto the sofa for an all-night movie session. Sofas with higher seats are easier to get in and out of, and low seats invite you to stretch your legs out and lean back. Fabrics with natural fibres like cotton, linen and flax are breathable, feel great and get softer with use. Similarly, for a natural feel go for leather as it creates a timeless look and soft, ‘buttery’ feel. Understand that each fabric is going to feel different, and it will add in a very different way to the overall feel of a sofa. While you may like the look of heavily textured fabrics, you need to question whether you like the feel of them too. Does the surface feel too slick? Sit on different fabrics long enough till you find the right one for you. When testing for fabric, you should also check to see if it wrinkles easily or stretches. If the nature of the material makes it wrinkle easily, you need to accept this as a natural characteristic of the material, and be comfortable with it. Moreover, whilst real leathers of the highest grades look stunning, they react to the environment around them and develop a natural patina over time, which the owners need to be aware of and feel comfortable with. 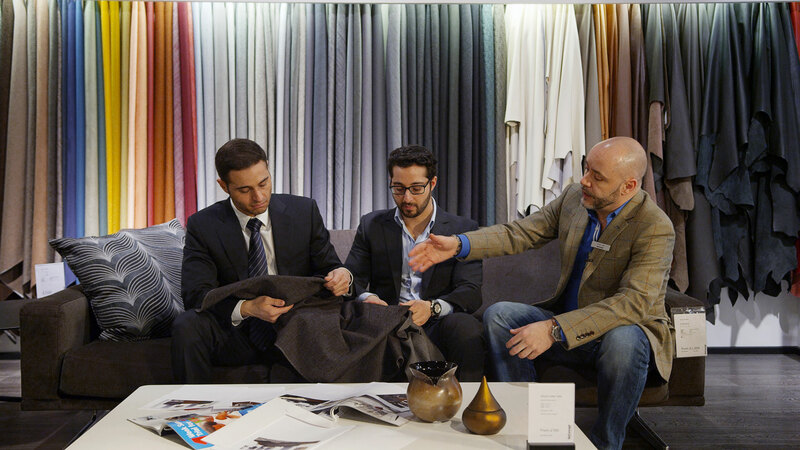 Our design consultants ensure that they discuss the specific characteristics of each fabric or leather that you like, discuss your lifestyle and the way that the sofa will be used (do you have children or pets, will it be used everyday or only occasionally?) and guide you on the best fabrics accordingly. 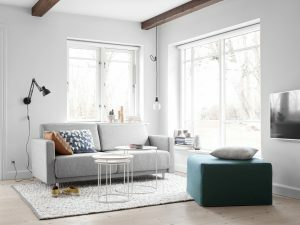 Large sofas complete with a corner module, resting or chaise longue unit, and open end unit look great and make your sofa look unique, but , but do you have the space for such a large configuration? Be realistic. 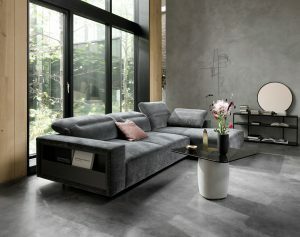 If you buy a sofa that is too big for the room, it might end up looking crammed and much smaller than it actually is. 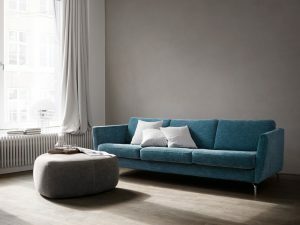 If you happen to be limited on living space, opt for a sofa that is specifically designed for smaller spaces, which typically would have narrower seats rather than very deep ones, slimmer armrests and smaller modules, as it will fit your room much better, and allow you extra living space. 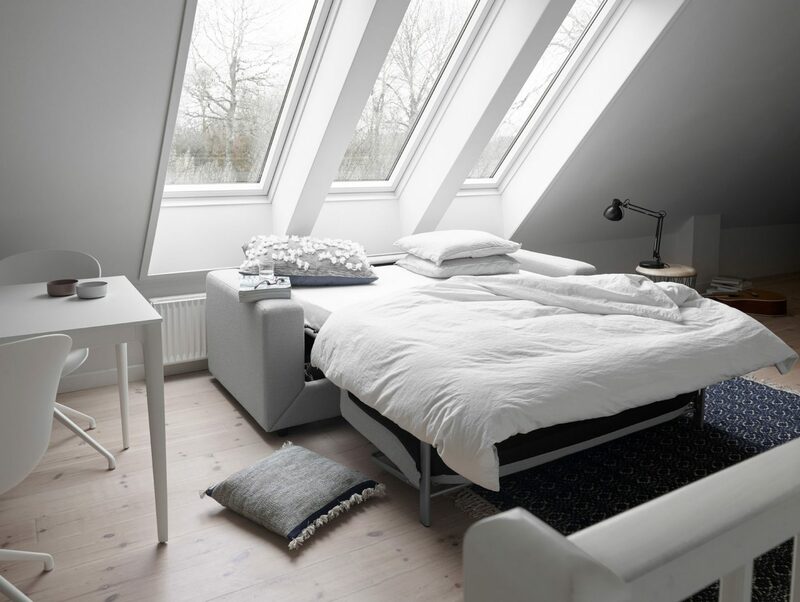 Also look out for sofas with added functionality – if you expect overnight guests from time to time but don’t have space for an extra bed, consider buying a sofabed or a poufbed. The latter cleverly unfolds from a footstool into a single bed, and comes complete with washable, removable cover, and an outer cover which is available in our full selection of fabrics, so you can either match it to your sofa, or choose a completely different fabric. On the other hand, if you have a relatively large living room, you still need to decide how much space you want to have dominated by a sofa. Keep in mind other items of furniture you will have in the room, as they too need to fit in comfortably. If you spend a significant amount of time using it as your bed, choose a sofa that’s long enough to accommodate you comfortably without compromising how it fits in the room. Shopping for the perfect sofa needn’t be an overwhelming task. If you keep the above tips in mind, you will surely purchase the sofa of your dreams! For more information or to try our range of comfortable sofas come visit our showroom in San Gwann. Our design consultants will be very happy to guide you through your options to help you make the most of your space.